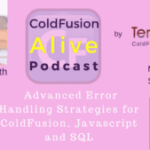 Brad Wood talks about “Design Patterns for amazing app architecture (16 patterns)” in this episode of ColdFusion Alive podcast with host Michaela Light. He is one of the speakers at the CFObjective Conference, a system architect for Ortus Solution and lead developer of the CommandBox CLI. Why should you be using them in your projects? Brad has been programming ColdFusion since 2001 and has used every version of CF since 4.5. 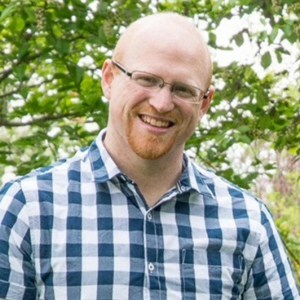 He first fell in love with ColdFusion as a way to easily connect a database to his website for dynamic pages. 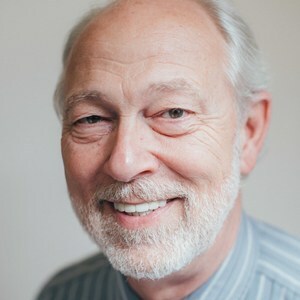 He enjoys configuring and performance tuning high-availability Windows and Linux ColdFusion environments as well as SQL Server. 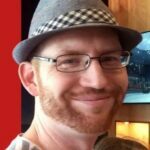 Brad is the ColdBox Platform developer advocate at Ortus Solutions and lead developer of the CommandBox CLI. * WWIT= What Would It Take? Michael: Welcome back to the show. I'm here with Brad Wood and he is the amazing application system architect for Ortus Solutions as well as being evangelist for many of their Box products. Today, we’re going to be talking about design patterns so you can have amazing architecture in your apps and there's a whole bunch of patterns we're going to look at. We’re going to look at just in case you’ve been asleep for the last 20 years and missed what a design pattern was and how it affects coding. 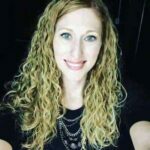 We’re going to look at that and why you should be using them and how they can be common solutions to common problems and help you produce better code in less time. In fact, generally, just become better software craftsman and architect apps better. Also, we'll briefly look into the CommandBox two-day training that Brad is doing before the cfObjective conference. He's giving a talk on design patterns at cfObjective which is only weeks away now so, very excited for that. Welcome Brad. 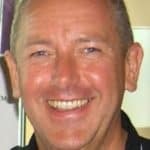 Brad Wood: Thank you, Michael. Michael: Just for folks who don't know, what is design pattern and I'm assuming it's nothing to do with design and Photoshop and all that, It's all to do with coding.